Here is a list of the current seven natural wonders of the world as chosen by the public from a vote. These wonders achieved their status in 2012 and still hold it to this day (October 2017 at time of writing). The votes are held by the New7Wonders initiative started in 2007. It was led by Canadian-Swiss Bernard Weber and is a Swiss-based foundation. The last vote was held at 11.11am in November 11th 2011. The results of this poll were announced in the early months of 2012 after stringent counts, checks and rechecks. Below is the result; a list of the current seven wonders. I have organised them below in alphabetical order, they are not and do not get, ranked. All wonders are of equal merit. The rainforest, so vast is located within 9 nations; Bolivia, Brazil, Columbia, Ecuador, French Guiana, Guyana, Peru, Suriname, and Venezuela. 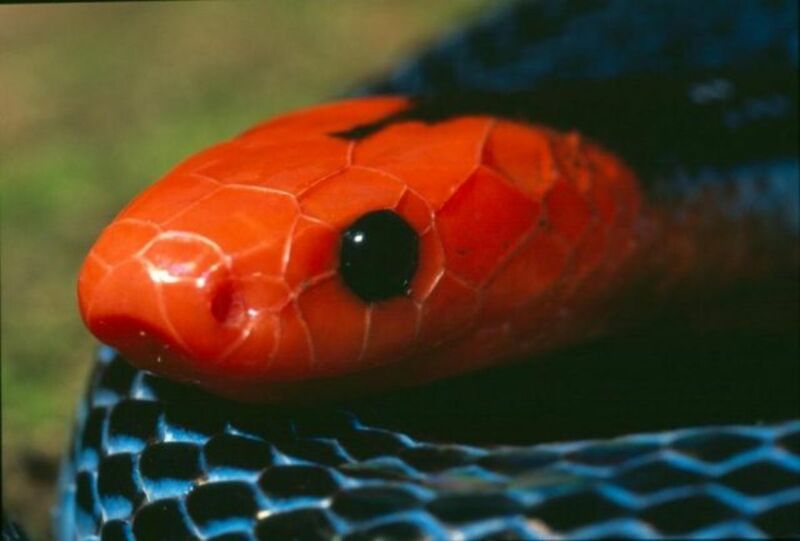 The Amazon is the most specie-rich tropical rainforest in the world. 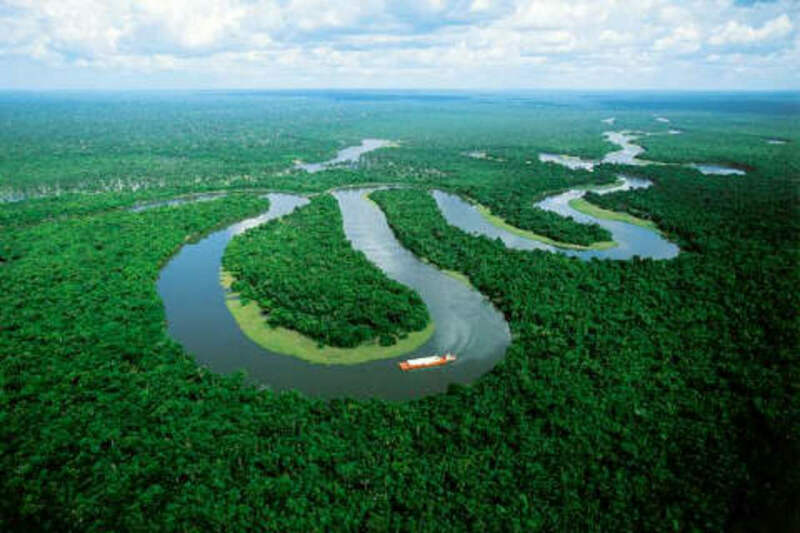 The Amazon river, located in the Amazon, is the largest river (in volume) in the world. Compiles of islands in various shapes and sizes and thousands of limestone karsts (rocks shaped by erosion). One specific feature of Halong Bay is the lake within the huge limestone island. Many of the islands are hollow and there are openings to enormous caves. The caves have up to 200 species of fish and 450 species of mollusks. 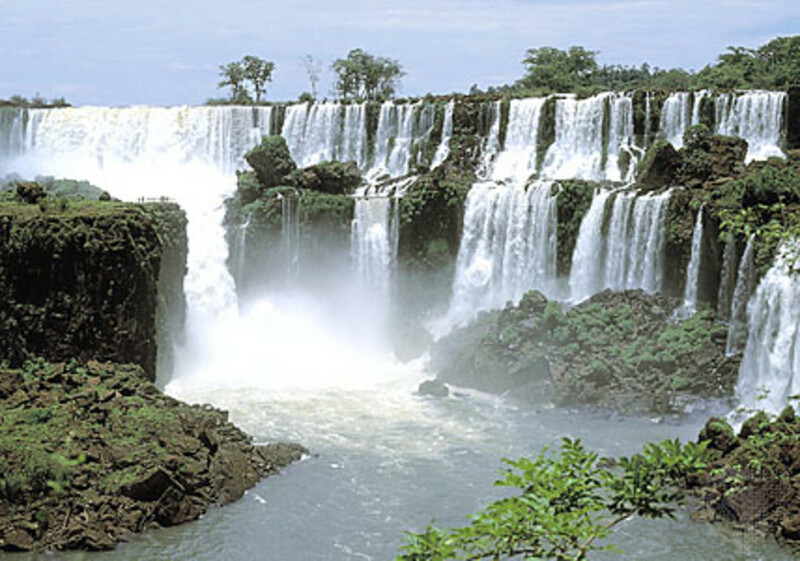 Located in the Iguazu river in between the borders of Argentine Missiones, and the Brazilian state of Paran á. On of the largest waterfalls in the world with a top height of 82 metres. The falls are formed by a group of 272 smaller falls. The biggest attraction of the Iguazu falls is the Garganta del Diablo, or Devil's Throat where the largest volume of water passes causing an almighty roar. The sound of which can be heard several miles away. Jeju is a volcanic island. It is both the smallest province and the largest island located 130km from the southern cost of korea. The surface area of the island is just 1846sqkm. A central feature of Jeju is Hallasan is the tallest mountain and dormant volcano which rises 1950m above sea level. There are 360 satellite volcanoes around the main volcano. Located in the National Park, Indonesia. Komodo is one of three main islands that make up the national park. The other two are Rinca and Padar. 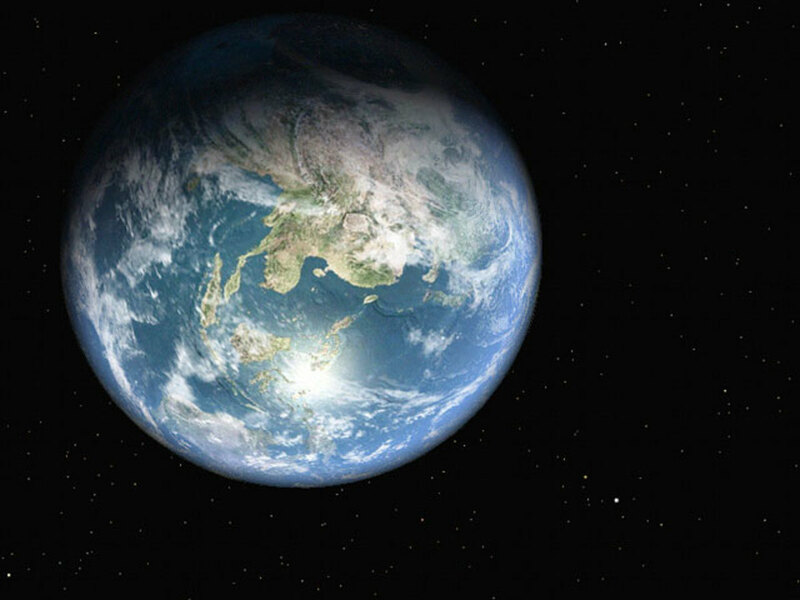 There are also numerous other smaller islands orbiting. The park was founded in 1980 to protect its inhabitants, the komodo dragon. Since then it is in place to also protect other species including marine animals. 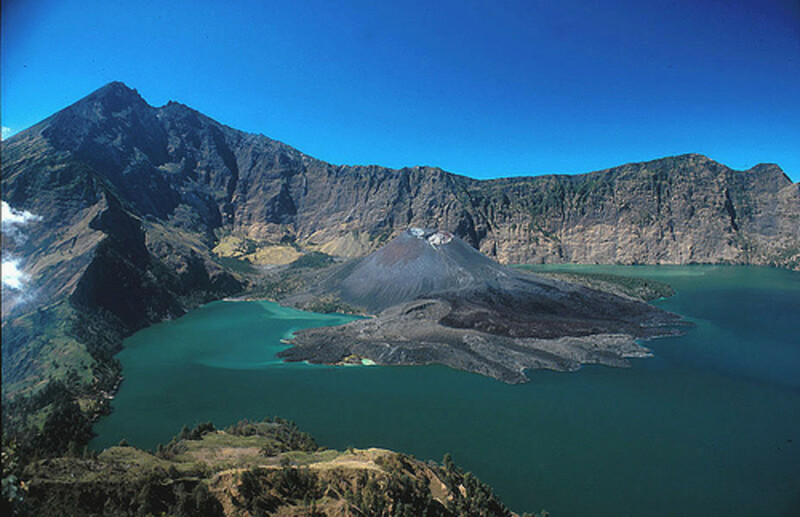 The islands of the national park are of volcanic origin. Located in the Philippines about 50km north of the city centre of Puerto Princesa, Palawan, in a the St. Paul mountain range. Also known as St. Paul's subterranean river due to its location. 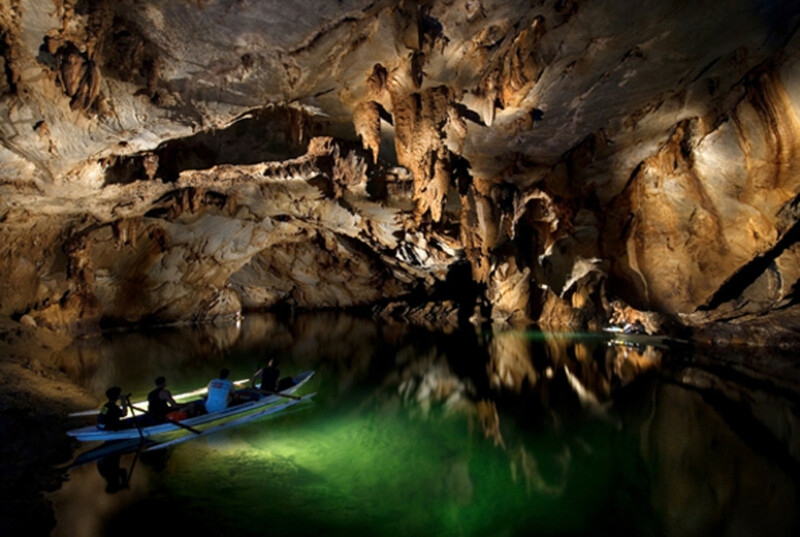 Asia's longest subterranean river measuring 8.2km and the world's second longest. The river comes out into a lagoon said to possess heavenly clear waters. The caves on the river has carved has many stalactites and stalagmites, as well as many chambers. Located above Cape Town in South Africa. The highest point of the mountain is at Maclear's Beacon, standing at 1086m above sea level on the eastern side of the front of the mountain. The level plateau is approximately 3km long. 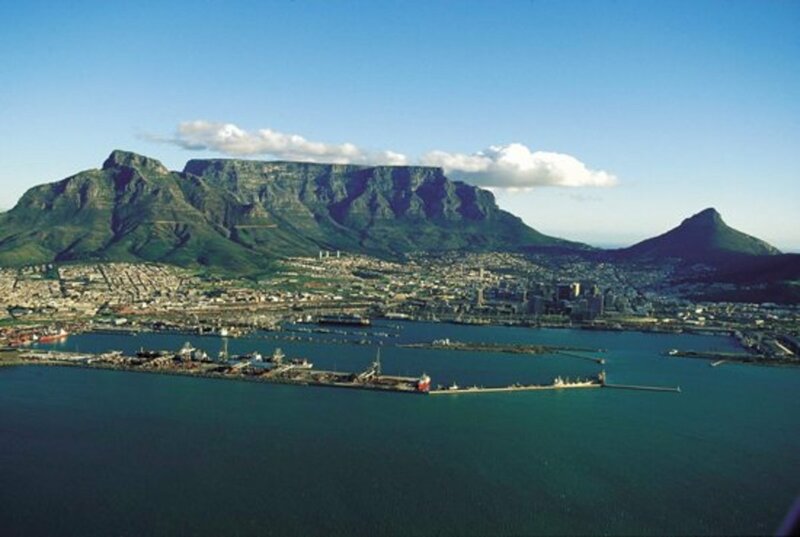 Table mountain was named so in 1503 after Antonio Saldanha, the first european who landed in Table Bay, climbed it. It is the only destination on Earth to have a constellation of stars named after it. After being asked the question through comments, I have attached a link below of where to get further information straight from the New 7 Wonders website. 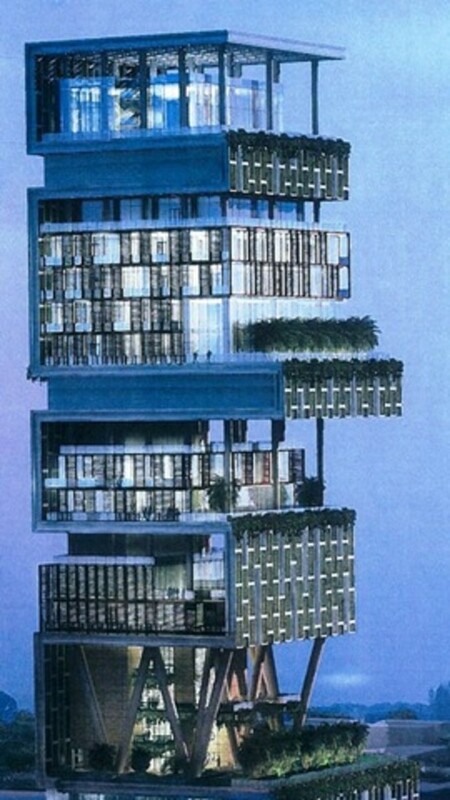 A list of the current (2012) seven man-made wonders of the world. Each with simple, bullet pointed, quick facts. Nice Post! thanks for sharing the news. It's lovely to see all these beautiful places God has given us. It's our job to protect them and keep them. what a wonderful world we have!!! so be proud to where we are ! you can't see these beautiful destinations from other planets only in the earth! It is so beautiful that you can't imagine....! Images are very beautiful, every 7 wonders are amazing. images are very beautiful and very nice. Beautifully written! I've went to Hallasan in Jeju. Very nice place! These wonders are simply amazing! Thanks for sharing this awesome compilation. ^_^! Hi Pstraubie48, I've unfortunately not been to any of these wonders. I as everyone do have aspirations though! I'll consider myself lucky if I get to visit even one! 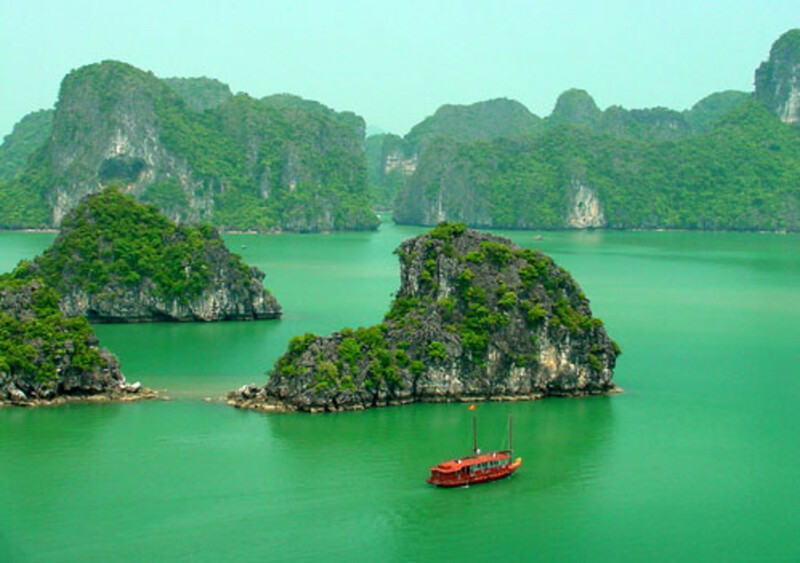 I think Halong Bay would be my first choice, it just looks like paradise. I think the rainforest would be good in small doses, but realistically I'd find it sweaty and be annoyed by all the fly's and bugs! A small sacrifice to pay though. Thank you to everyone else for your feedback, I'm glad you're enjoying this hub and that it is proving useful. Hawkstryker. Thanks for sharing such a wonderful hub. Shared. 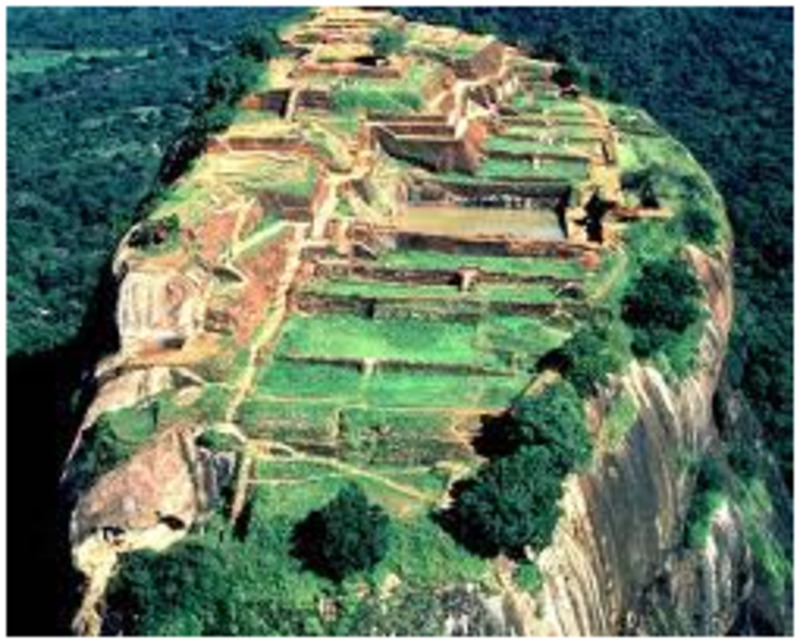 Thanks for sharing this great information about seven wonders of the world. It's really interesting to read the facts about each wonder. You have also added nice pictures. Great Work! I am proud that our very own puerto princessa subterranean river is one of the seven wonders of the world. It it also called Underground river, when you enter the cave you can see different images on the rock formations if your imagination is really wild. You can see bats flying or sleeping (just don't open your mouth when you tilt your head, you might eat their feces or something hehe), the tour only takes 1 hour because there are still parts of the cave that needs to be explored by the professionals. This is an interesting collection of places for the new seven wonders. The falls I believe wold be my favorite and the rainforest second. After watching a movie about the rainforest MEDICINE MAN about 20 years ago now, I was so intrigued I have always wanted to go there ...and soon..before there are no more. Just a question...have you traveled to each of these spots? What a journey that would be? Thanks for sharing. Thanks for all the comments guys and gals. Glad you like the hub! - Who decides on the wonders? - What is the criteria needed? - Why are seven wonders elected at all? Thanks. I use to teach these topics and always in awe . Great article. its just mind blowing,beautiful n amazing!! never knew such kind of places existed! Very interesting to read. Great hub! wat hapend 2 Victoria falls????? how beautiful world is. if we just conserve and protect nature more wonderful things may appear..
nice to find the wonders. A great hub!!! The underground river is a treasure we Filipinos are proud of. We just hope that enough support is given to keep the place pristine. Earth is such a wonderful creation of God,, Im so glad i was born and experienced his good creation,.. Lets start to protect our mother earth and preserved his beauty for the next generation. 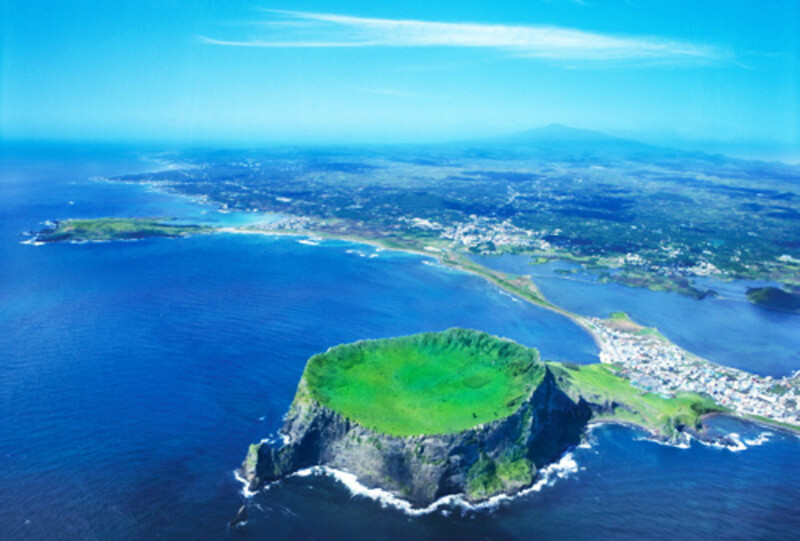 Wow Jeju Island looks pretty cool, I had never heard of it. Excellent, although im surprised Mt Kilimanjaro isn't on the list! really interesting, thank you for this article!!! Thanks Alocsin, glad you enjoyed it. This particular link will take you to the 28 finalists so see if any of your guesses are there! Wow thank you for sharing this, have you got a link to the voting results, some stunning places, but some do surprise me. I've heard of nearly all of these except for Jeju island. That picture makes it look so unusual. Voting this Up and Interesting. Thanks JKenny, the Serengeti is a beautiful expanse, it could make it to the list this year! The re-release of The Lion King might help! Thank you Alma, I agree such wonders should be conserved, they are remarkable. Check back in the next few months for the new 2012 wonders and see what changes have been made. Very good article, although I'm surprised that the Serengeti didn't make the list. The world is so beautiful yet we continue to pollute it. 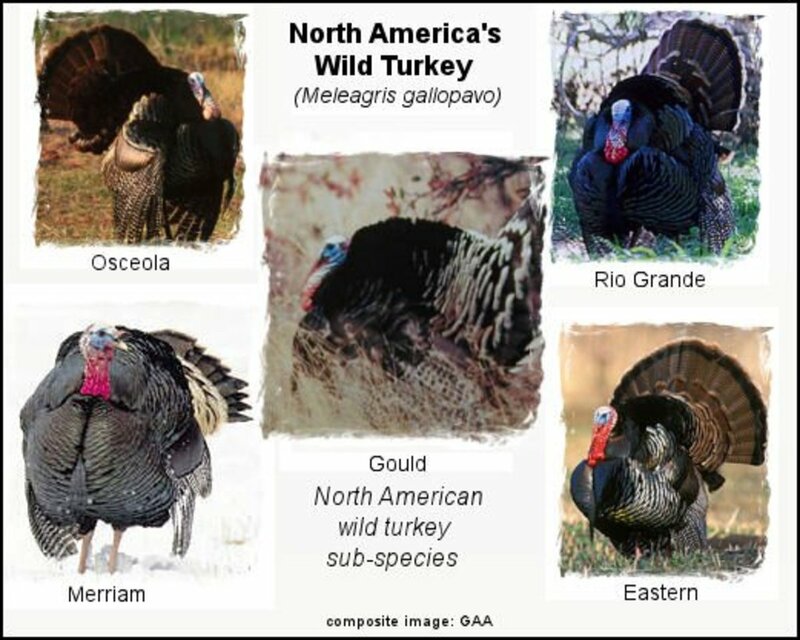 These wonders should be a reminder to all of us that we should do our part in conserving it. This is a very interesting hub.